The 2nd, 3rd, and 4th Graders ended the school year with a unit on arthropods. 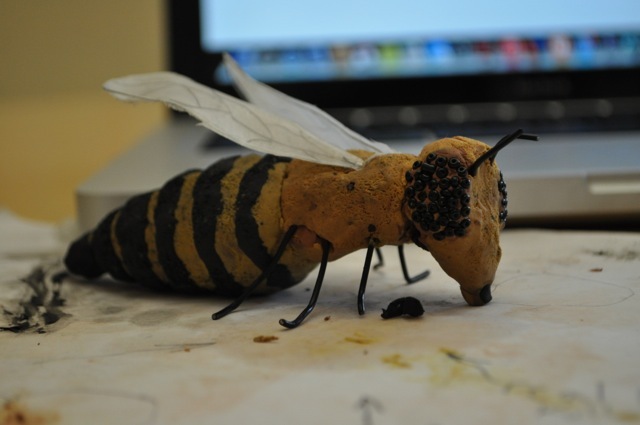 Their final activity was to create enlarged clay models of the particular arthropod they had studied in depth and about which they had written research papers. They decorated their models, creating remarkably lifelike objects. All the students paid close attention to detail, some even studying the ommatidia in order to depict the insect eyes. This was a unit in which science and art combined effortlessly. Older PostEnding the Year with Yoga!